Click on the 'Previous | Next' tab above to move through the index. Click on the 'Slide Shows' tab to see the Slide Shows Index. 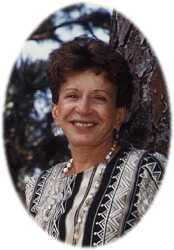 The photo to the left is of Sonia in Sarasota, Florida, 1997, courtesy of Evelyn England, SAGE, Sarasota, Florida.